..."an insidiously mesmerizing listening experience. 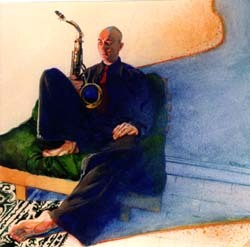 ", Dan McClenaghan, All About Jazz. ..."Otto's tender-but-edgy sound has a quiet urgency. ", Steve Zylius, O.C. Sqeeze. "Otto sustains a hauntingly restrained mood from start to finish, churning along in a cool fluid simmer that rises at times toward a slow boil...", Dan McClenaghan, All About Jazz.